Welcome back to another week of fun sketches over at Atlantic Hearts Sketch Challenge! I just got this adorable new Avery Elle Heart Frame die and it put me in the mood for a sweet lovey dovey card. I grabbed some Whimsy Fundamentals dot paper and dug into my stash of washi tape to fill in the outlines of the sketch. Then I drew a line of stitches all around my card base. I cut the Heart Frame twice, once in Bashful Cardstock and once in Bashful Glitter paper. Then I trimmed out the glitter hearts from that frame and glued them to the CS frame using Liquid Glass. 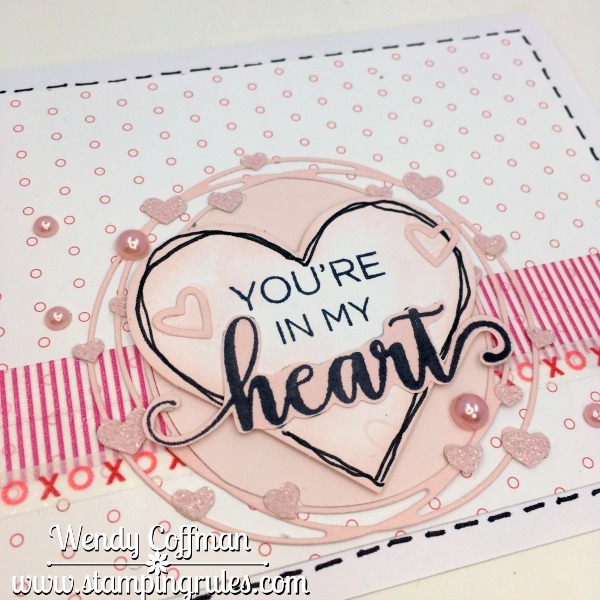 I fussy cut the HEART part of the sentiment (a sneak peek of the September special) and added it to the white Cricut cut heart I popped up in the center of my heart frame. 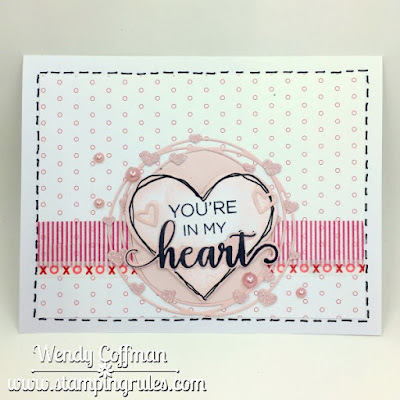 a few pink pearls finished off this quick and easy card. I hope you'll pop over to Atlantic Hearts to play along with this week's cute sketch!